Thomas L. Caradonna represents his clients in cases related to complex personal injury, including medical negligence and product liability; business; commercial and property tax litigation; and white collar crime. Tom handles a wide range of complex personal injury-related litigation including medical negligence and product liability cases. He is national trial counsel for clinical and anatomic pathology cases for one of the country's leading national laboratories. In addition, Tom has significant experience in property tax law, having successfully represented numerous major corporations and commercial property owners in real estate and business personal property cases across Missouri and many other states. He has tried hundreds of cases before the Missouri State Tax Commission, and his counsel is regularly sought by corporate taxpayers and tax consulting firms. Tom also has significant experience in business-related litigation and disputes, including white collar criminal cases, and his counsel is regularly sought for litigation and dispute resolution. Practicing for 30 years, Tom is known for achieving successful results for his clients. His experience as a former police officer and prosecutor has earned him a reputation for honesty, integrity, and work ethic, which he brings to each of his cases. He has appeared in many Missouri and Illinois state trial, federal trial, and appellate courts and in trial and tax courts in other states, and he has argued cases before the Missouri Supreme Court. He has appeared in every appellate court in Missouri. Tom is active in the St. Louis community. He is proud of his Italian-American heritage, and he serves on several boards and supports many charitable causes. In addition to his litigation practice, Tom advises a wide variety of corporate and individual clients on various business issues. He is Chairman of the Firm's Contingent Fee Committee, a member of the Firm's Associate Development Committee, and is AV® Preeminent™ Peer Review Rated by Martindale-Hubbell. 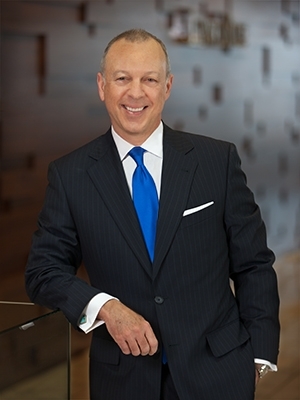 Tom was selected by his peers for inclusion in The Best Lawyers in America® 2013-2019.